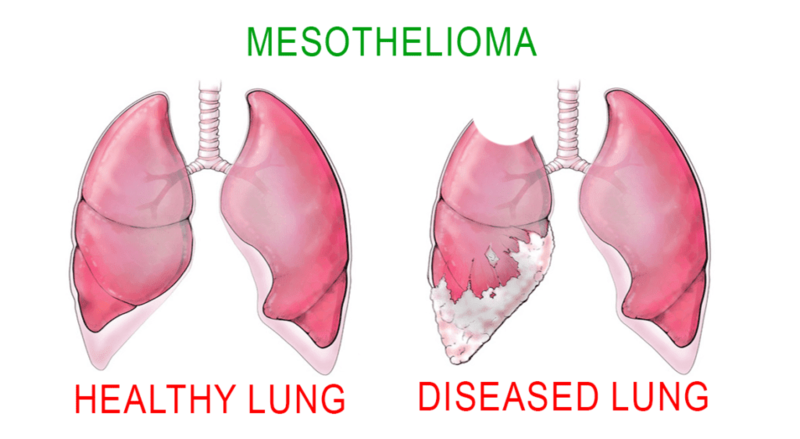 Mesothelioma, also known as malignant mesothelioma is a kind of cancer that affects the layer of tissue that encloses many of our internal organs. Four out of five cases of mesothelioma are as a result of exposure to asbestos, which has been known to contain carcinogens. Asbestos is a substance that occurs in nature and was once common in construction because it's fibres are resistant to heat, corrosion and electricity. However, scientific research has shown that the substance is hazardous and can cause mesothelioma and lung cancer. The cancer commonly affects the lining of the lungs and chest wall and is characterized by a swollen abdomen, shortness of breath, fatigue, weight loss among other symptoms. The symptoms are not sudden and will advance slowly. Most cases reported were among people who work with asbestos, live in houses built with asbestos and had considerable exposure to the material. According to Wikipedia, by 2013 over 100 million people were exposed to asbestos at work. Tiny asbestos fibres are hard to see and often imperceptible to our senses. Therefore, once we are exposed, it takes time for the symptoms to be seen. When the asbestos fibres enter our bodies, the body is unable to expel them as they cannot dissolve. Collection over years is what cause damage to the cells. Malignant mesothelioma is a serious diagnosis and is hard to treat, which increases the chance of fatality. Cisplatin and pemetrexed combined in chemotherapy constitutes the standard procedure in caring for mesothelioma patients. Scientists continue to conduct clinical trials of other treatments that may offer better efficiency in handling the condition. There have been developments in radiation and surgical approaches, but the likely course of the conditions has not significantly improved over the past few decades.